AcuteSoft offers Annual Maintenance Contract (AMC) for different services or product. 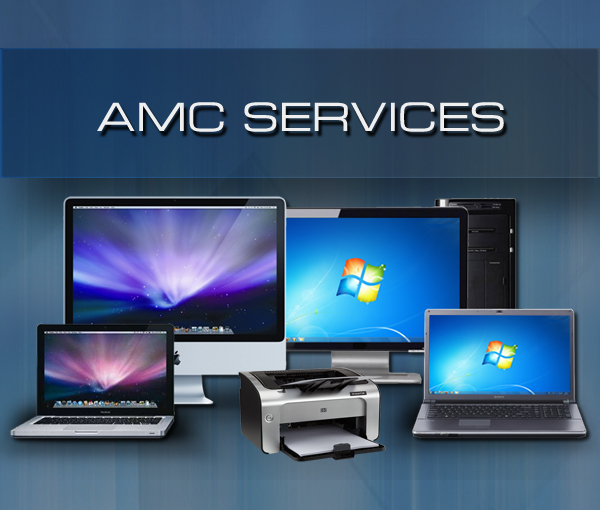 Computer AMC is a contract in which we take care of your computer and its related parts after its warranty period has been expired.we provide professional support both onsite and remotely, for networks and computers under a service contract, we proactively monitor the network to identify and resolve potential issues by best troubleshooting techniques. We strive to achieve this by focusing individually on each project and build a healthy relationship with our Customers. Our services including sales of assembled and branded computer, Network Cabling, Wi-Fi Installation, Firewall Installation, Data Security Solutions, Computer Hardware Maintenance, Anti-Virus Solutions. Our alliance with Hardware partners enables in providing best economic quotations. Support services and many more. Performance Issues: We undergo periodical checking for the hardware under contract and update if any issues persist. Service timings 10am to 6pm on all weekdays. Flexible payment options (Quarterly, Half yearly and Annual).